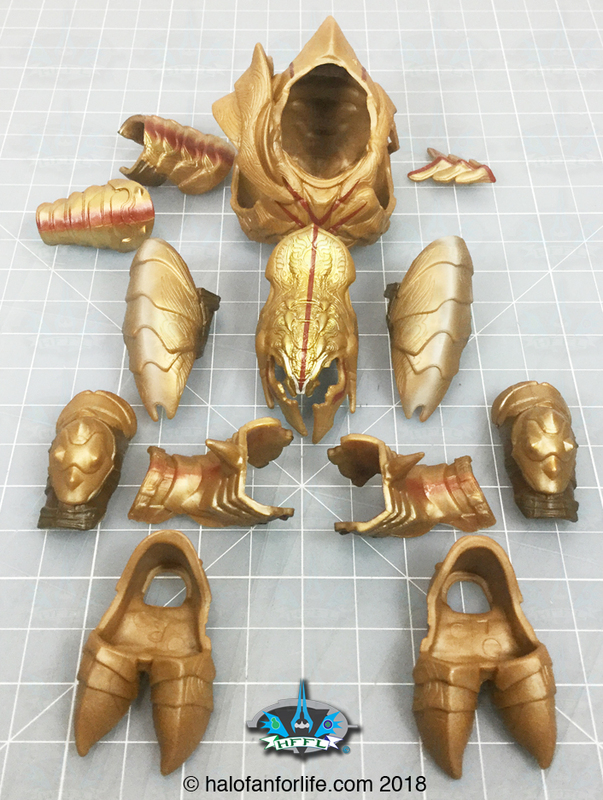 Here we see the full plastic tray with the figure, armor parts and accessories along with the instruction manual. These are all of the removable armor parts for the Arbiter. Mattel has definitely improved from series 1. The detail is great. It’s the paint application of the armor where this figure shines, both literally and figuratively. Highlights and shadows as well as other detailed markings really help to bring this figure to life. The articulation of this figure is fantastic. With so much articulation, you have the option to pose the figure in multiple action shots! 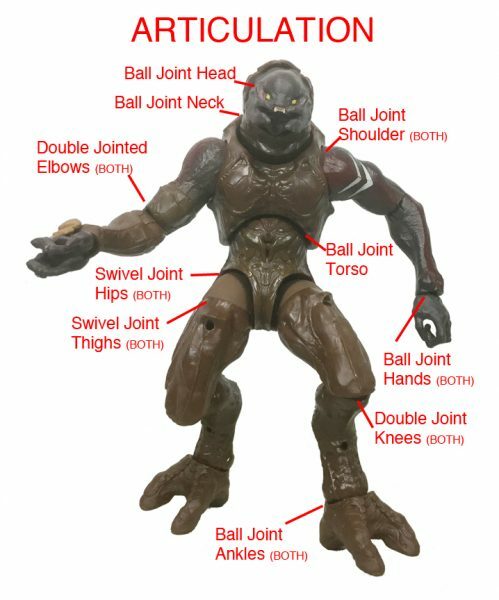 Below are the accessories you get with the figure. In the middle is the Prophet’s Bane Energy Sword. 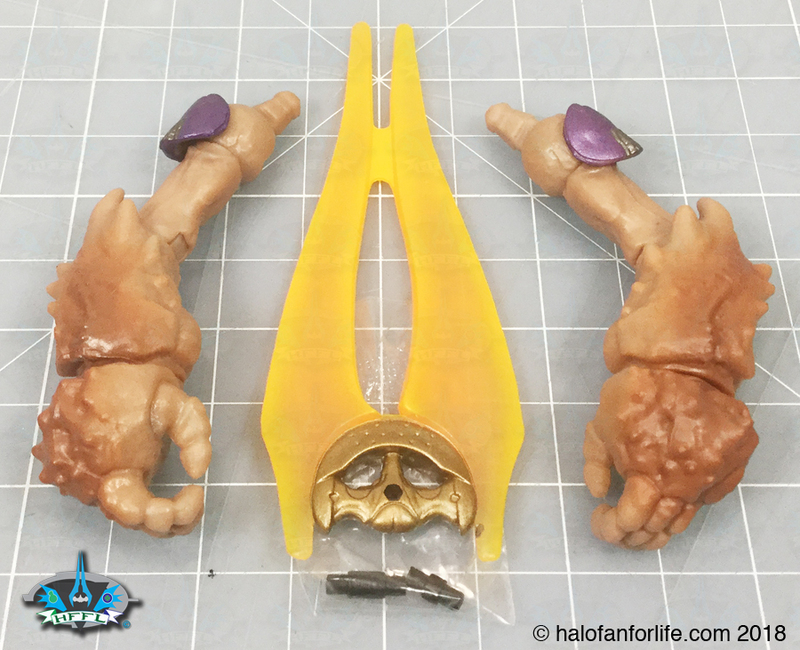 Flanking the sword are the arms for the Imperial Grunt Build-A-Figure. Each figure from series 2 includes different parts for the Grunt. 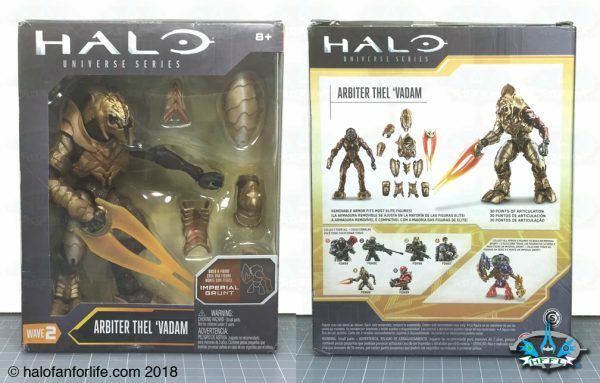 If you buy at least one of each figures from the series, you will be able to build the grunt. I’ll have the review of that figure after I’ve reviewed all the other figures from this series. Lastly for accessories are the two plastic pins (as seen in the small plastic bag here. These are used to either secure the sword to the Arbiter’s back or thigh. Each figure has these pins for similar usage. And finally, the Arbiter in orthographic views. Be sure to click on this pic to see a larger size of it to see the detail. 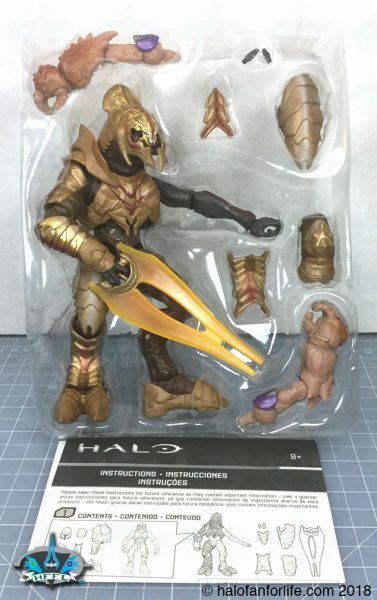 This is THE definitive Halo 5 Arbiter! If you have any inclination to own it, DO IT! Do I recommend this product? YES! This figure is one of the gems from Mattel’s series 2 figures! Paint and articulation make the figure look and display realistically.